Paint a base coat on all nails. Let dry. 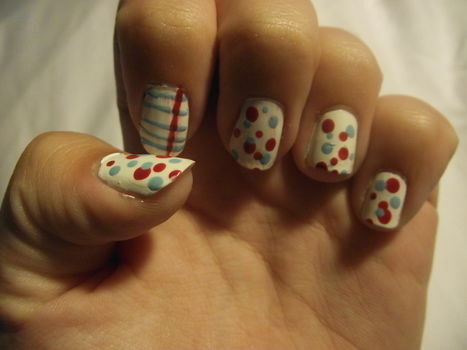 Paint the nails white. You may need a few coats to make it opaque or solid. 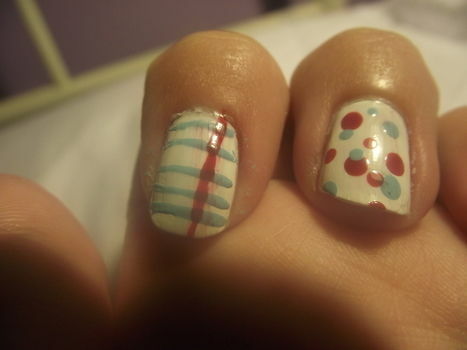 INDEX FINGER: Use your striper brushes or toothpick and make 4 or 5 lines with light blue polish across you nails. Let Dry. 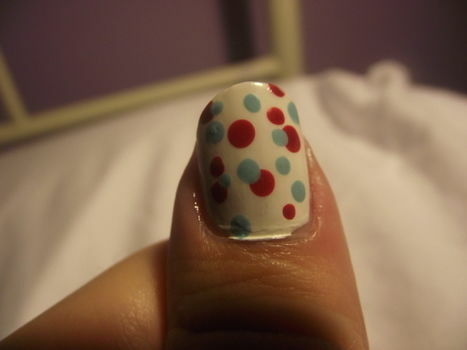 Make one line of red from the top of your nail to the bottom on the left side. Let dry.